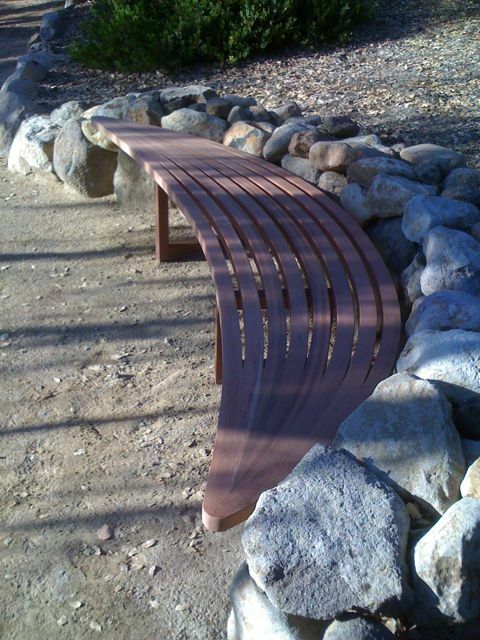 A series of sculptural benches tailored specifically to the landscape for a private sculpture garden in Napa, California. I love these! Like lizards! They often have lizards basking on them too. Its so hot up there sometimes. Thanks Mike. 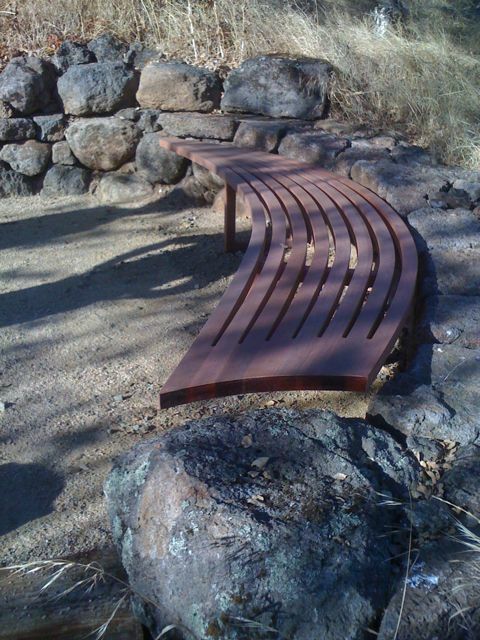 The benches are made of Jarrah. A really hard and durable Western Australian Eucalyptus. I must post some images of the older pieces now that they have weathered to the beautiful silvery grey that Jarrah acquires outdoors after a few years. beautifull benches………would love one or two for Mackeral Beach!!! Glad to see you’re keeping gamefully employed, not to mention keeping up your chops. I LOVE these benches. Really sensuous and fluid. Thanks Mia. And I’m sure we are related – I recognize the Latin. 1066 and all that!! I’m from an Australian branch but there is quite a clan here in the US I believe. I see from your website that we share a love of the natural world. I was a trained botanist before becoming an artist, designer and educator. And we are both transplants. Maybe us Fortescue’s have crossing the water to settle new lands in our blood! I see also that you are in San Diego. I get down there form time to time as I have good colleagues at SDSU. Perhaps we could have tea? Wanted to add, my mother was a teacher of botany and an avid gardener. She drew the most beautiful renderings of plants and taught me my love of nature and of art. I grew up just outside of Oxford with memories of our garden and the countryside so, yes, we do share that and it has shaped me as an artist and influenced me as a designer. I look forward to trying to connect the dots between our relatives and ourselves.